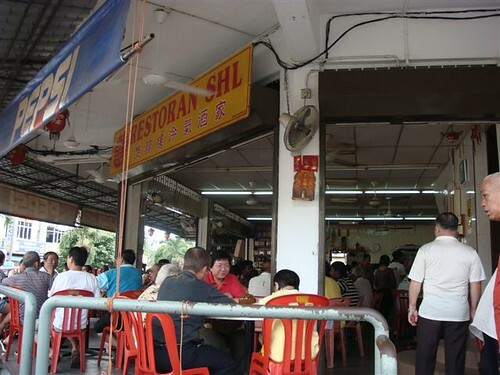 Restoran 126 & Restoran SHL Bentong, Pahang. 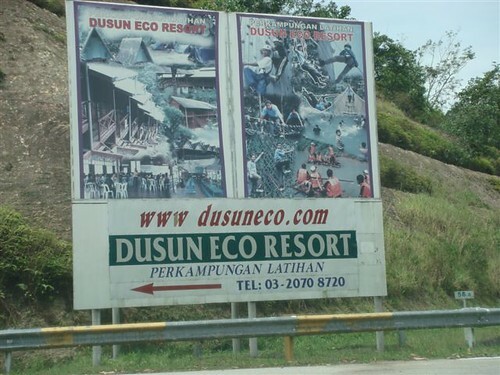 Seeing as it was Raya and all, and we had time on our hands.. we decided to go do a recce on a couple of “adventure” recreational spots in Pahang. 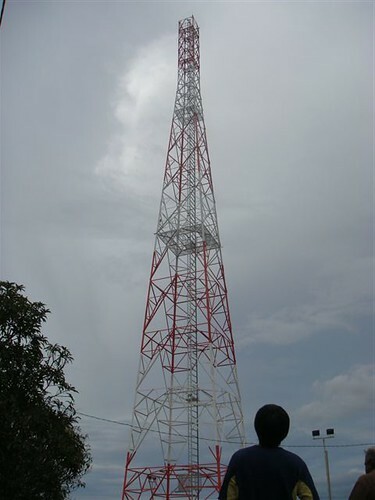 This was the place we were suppose to recce! Unfortunately it was closed. 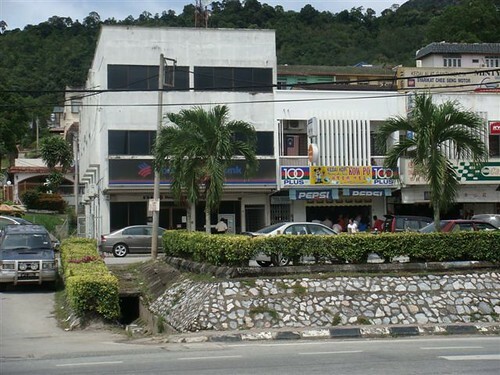 The one.. the only… Bentong Bus Station. Wow.. what is this place? 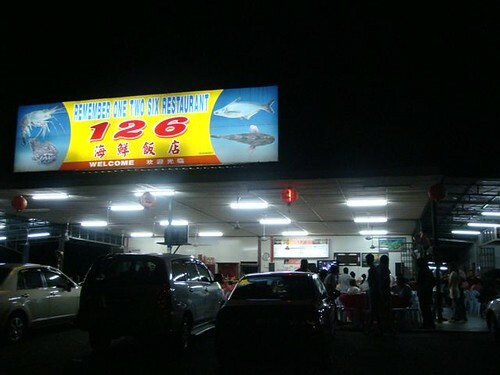 Driving around Bentong, most of the Chinese restaurants were busy.. but this coffee shop took the cake. Packed to the rafters. What ever IT was.. it must be good! The Singapore noodles were so-so, but, MAN! the Hokkien Beehoon/Mee was SUPERB! 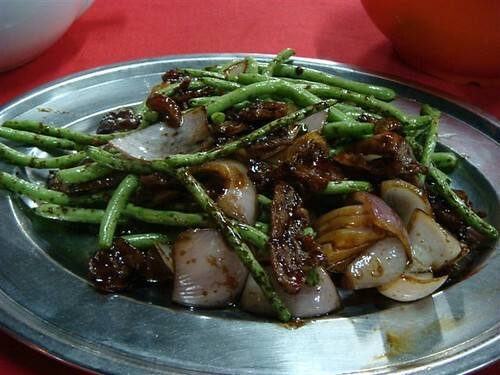 Even in KL , the flavour is not as strong nor thick with aroma. And for RM5, the plate was huge. The flavour of the Hokkien Mee reminds me of back in the day when the taste of pork was strong, mingled with the dark sauce and the lard… not like the pseudo, watered down flavour you get these days in town. 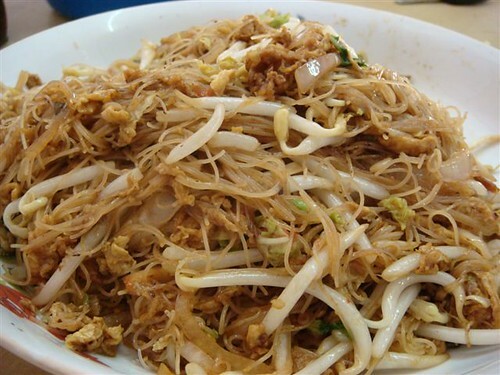 We love the Hokkien beehoon-mee mix, because nothing imbibes sauce-flavour like beehoon… whilst the mee gives it that additional bite/kick. 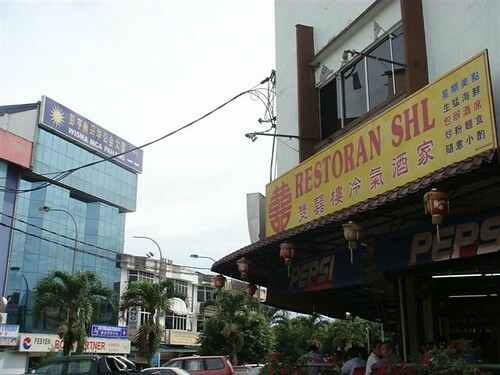 But just remember SHL Restaurant on the corner, opposite the Bentong Wisma MCA! 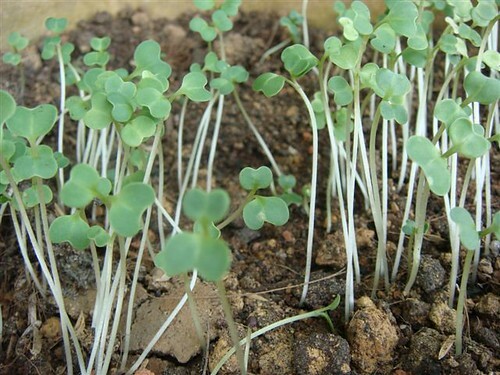 And the people here, even grow their own alfalfa sprouts! Ooo.. how cute! 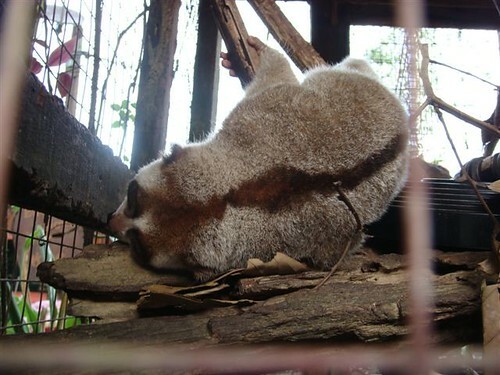 A slow loris! Loris comes from the dutch word “lores” which means sluggish. No wonder they move so slow! They are nocturnal animals and have a very strong grasp, making them difficult to remove from branches. Later, I found out that the slow loris produces a toxin that mixes with their saliva to protect themselves from predators. If they bite you it will provide a nasty swell! Also, the slow loris are opportunistic carnivores. The gibbon! “Dweller in the trees”! The gibbon is the smallest of the apes. It sings like a Mad Man. Gibbons have a home range which they defend by singing. 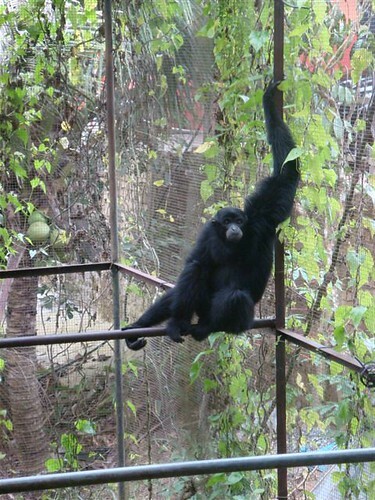 The duet/singing of the gibbons is an amazing sound which can be heard for up to 2km. Gibbons sing in the morning to mark the boundaries of their home range and to let other groups know where they are. It was so loud. Amazing. 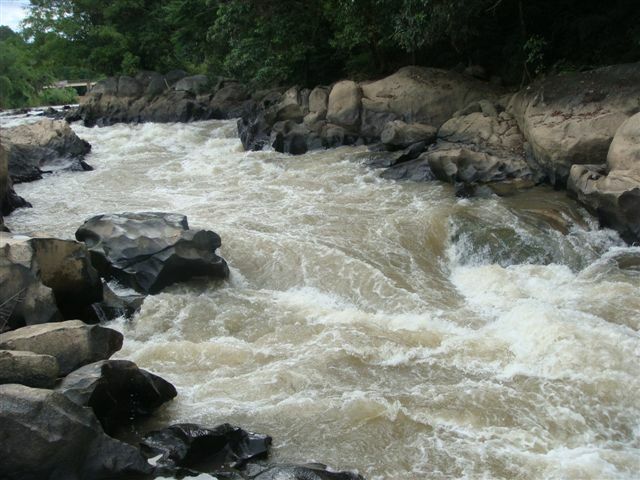 And finally.. the (off)white water! Music to my ears.. we will be back .. oh yes! All in all, a pretty worthwhile recce. 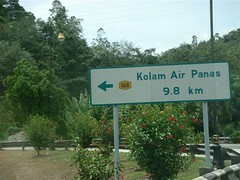 On the way back, we come a cross this sign. I am a ‘SUSU’ addict! This is Mr Edison’s Farm! 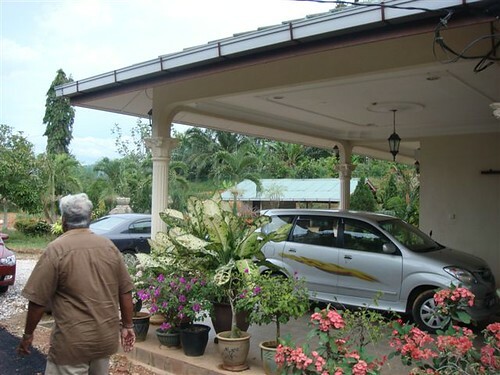 He has goats and cows.. on his 4 acre land.. not to mention a massive modern bungalow. 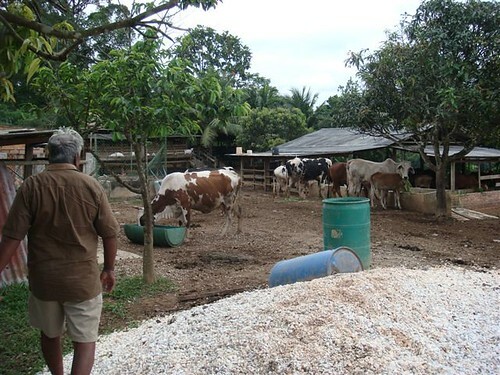 When he found out we were from KL, he invited us in for drinks (of the non-bovine kind), and to take a closer look at his farm! 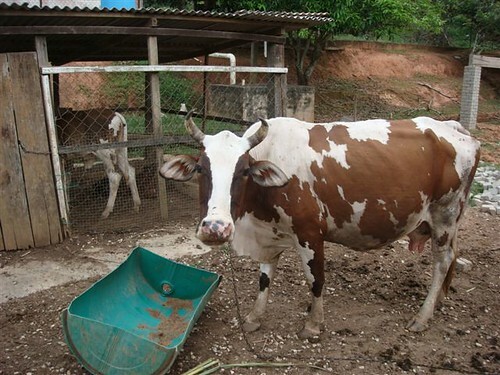 The cows were handsome and healthy (not like the mangy kind you see in batu caves)..
We were told to boil the milk and let it cool before drinking. Mr Edison says that his stomach can take the milk fresh, but he doubts that our city-pampered stomachs will fare as well. Part of Mr Edison’s mansion and estate. He even has a tower on his land. They pay him rent.. of course. Anyway, this entire 4 acres is for sale by the way. 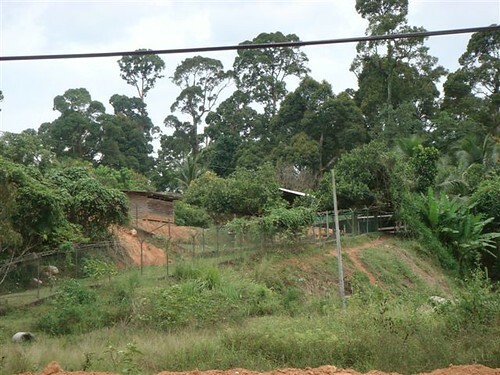 Mr. Edison’s kids all want him to return to KL… so, he says, time to sell and head back into the city. He wants to sell Lock, Stock and (two smoking) barrels… cows/goats are optional. 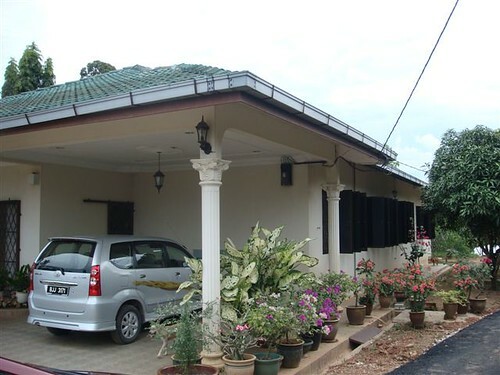 A great country home in Jeram Besu .. a comfortable get-a-way! It’s nearly 6.30pm.. Really time to go before it gets dark! It got dark pretty quickly as it was about to rain. We decided to stop for dinner. 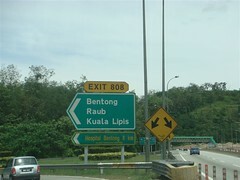 We turn in off the highway, at the sign that says, Selesa Homes and at the T junction, immediately turn RIGHT. 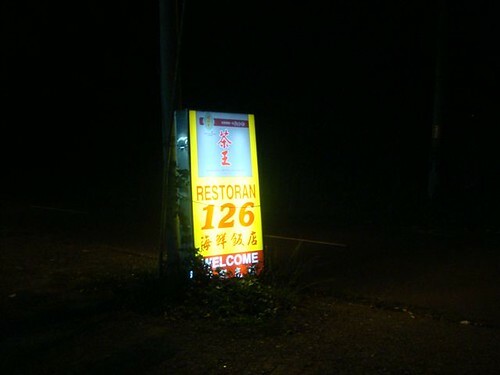 Restoran 126! Woo-hoo.. now i remember the name! We hope the wait doesn’t kill us! 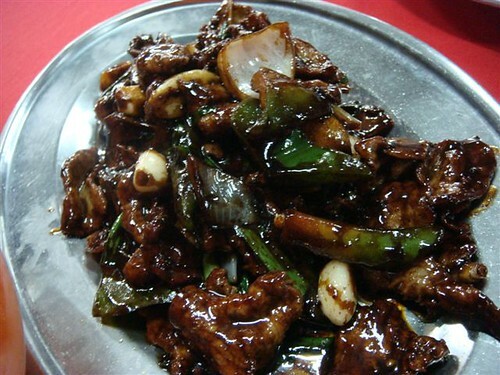 Wild Boar in black pepper! Delicious. It will keep us warm on this cold, rainy night. Beans in caramelized deep fried bacon bits! 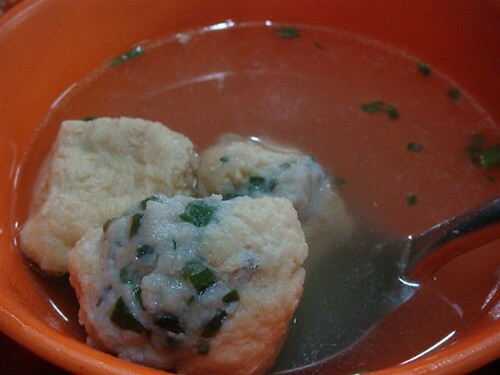 Killer shiok! All in a day’s work. Not bad huh?! coincidence or what er? 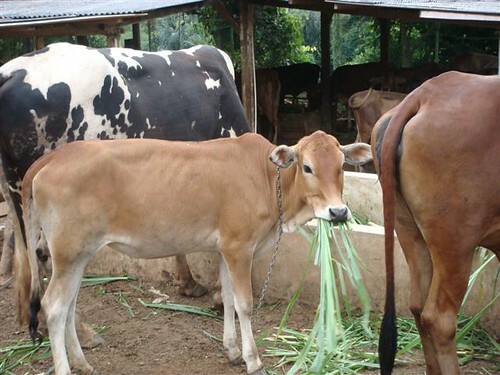 there i was giving ideas about raising cows instead of other domestic animals…haha! 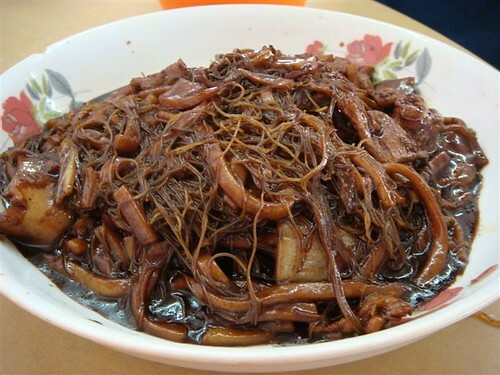 yeah, the hokkien mee looks dense and yummy…i like it with mee+kway teow..then again, as long as it’s lard and dark soy sauce, anything goes!!! yummy! wah …. I was holding my breath right until THE END. amazing day. what an adventure leh … envy. 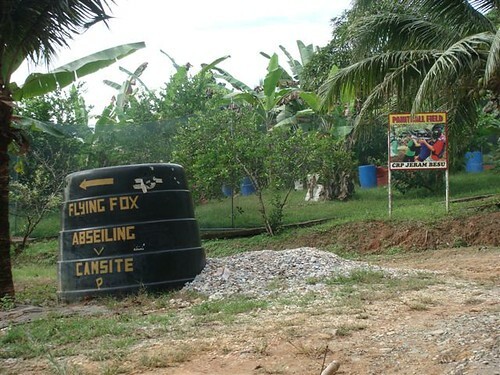 our excursions to rural areas mostly involve work as well, thus less fun. Bacon and beans! Is that the blinding combination of orgasmic joy or what! Looks like a super trip, small town cool. Amazing recce you’ve had…and there’s no traffic?? Nice! What a fun trip! 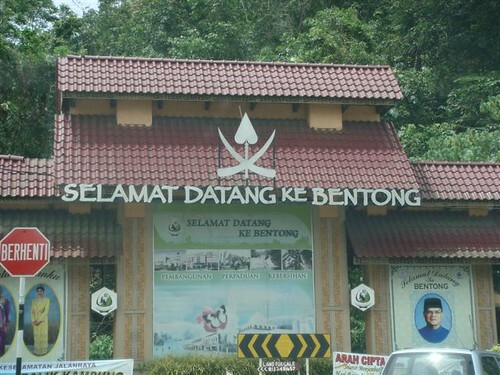 Actually my family were from Bentong, sis born here but later oved up north. 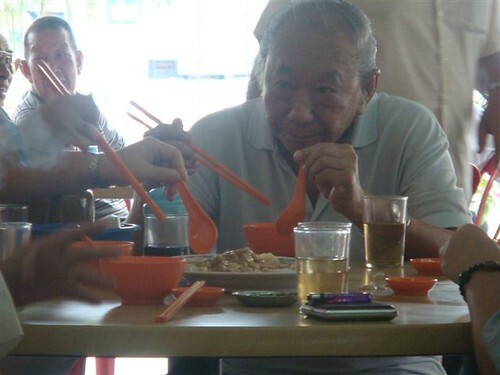 Kow Po is famous for its ice-kacang with ice-cream on top. 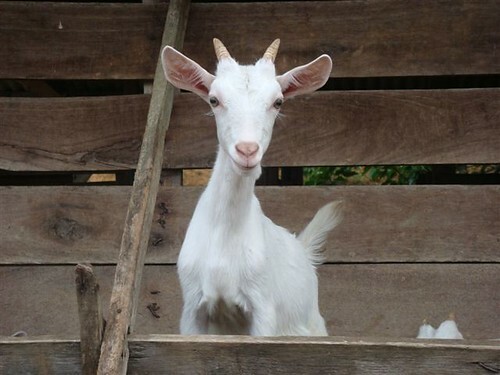 Hehe…since you like the cows and goats so much, perhaps you should convince your other half to take over from Mr Edison? sure thing! 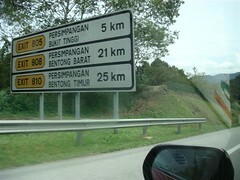 but I ain’t no expert.. must ask the fellow Bentong-ites for better ‘off the beaten track’s. bacon and beans! chinese style, english style.. all works for me! 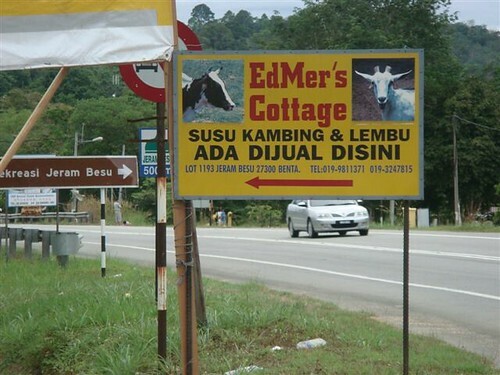 Regarding Mr Edison’s farm.. that makes you and Nic.. all for the cow idea… but erm.. as much as I love looking at the goats and cows.. i don’t think I’ll survive 1 week of farm life… I HAVE CITY BUGS in my STOMACH!!! HOW?!!! wow, such energetic youth of today. 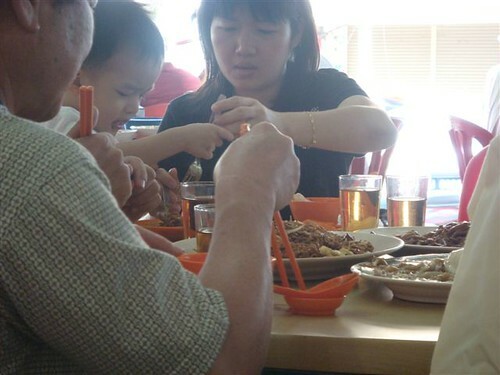 i would have dozed off after that hokkien mee lunch liao…..great write up, i was riveted. why bother migrating to australia for the great outdoors?!!! we seem to have quite a lot of interesting flora and fauna as it is! hahahah. What a fruitful trip, perfect to cure the tension created from work. 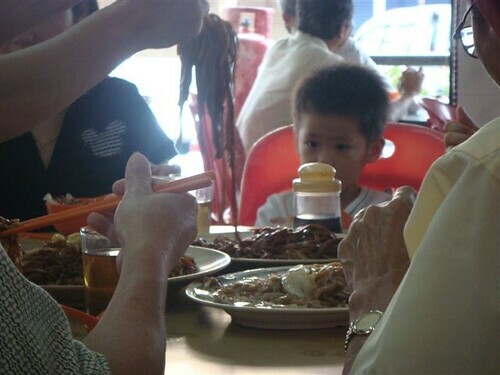 The Hokkien Meee!!!! I want! Then need to change monkey names to err cows? Cannot recall any kids show featuring lembu-lembu sekalian. Very impressive and exotic road trip 🙂 WELL DONE!! Hope you had a super raya … cheerio. Agree with J2KFM that I also held my breath until the end; Interesting article of varying interest; That was Roselle akin to Ribena when you cook it and taste just like it. 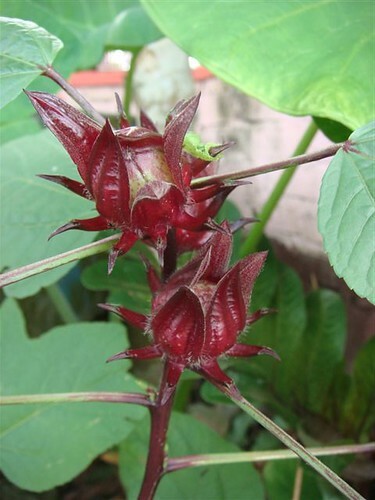 roselle! aw, thanks.. next time must bring u with me .. lol 😀 so, does one eat it with a salad? as part of a curry? .. how? one thing’s for sure, the color will make the dish look pretty ! wat a holiday..lots of walking and eating eh? that’s usually the plan.. stan..
For some reason, “Home-made BALLS!” just made me crack up. What can I say, I’m utterly juvenile and proud of it? Hehe. 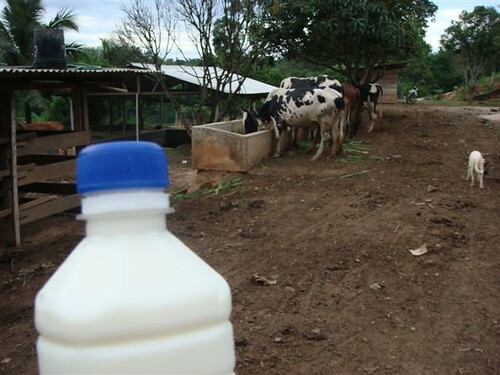 there used to be a cow farm somewhere 10km near my hometown and i used to drink plenty of fresh milk. but my mom also boiled it for me first before i have it, ahhh those were the good old days. 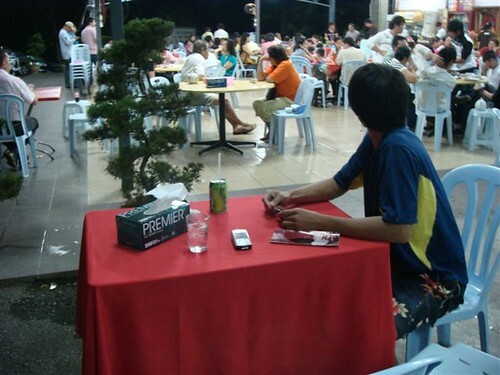 lol.. chinese restaurant syndrome! i like dat! 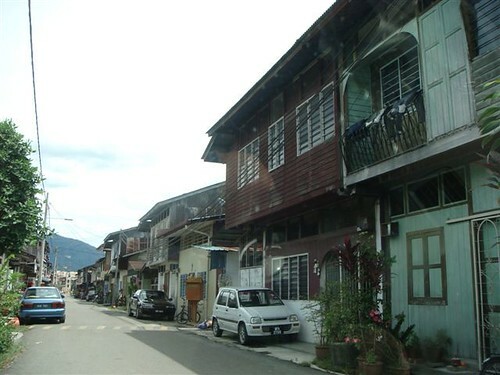 Hi I am from Bentong. 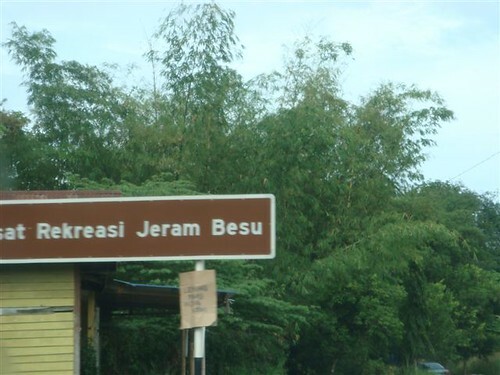 Proud that u introduce my hometown. Kow Poh my favourite ice-cream~~YumYum..
i know the address of restaurant shuang hee lou: 71,JALAN CHUI YIN,28700 BENTONG,PAHANG. 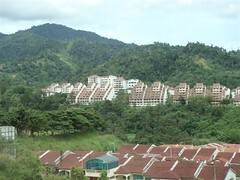 I was wondering if you know whether there is a direct bus shuttle or tour bus from Bentong Bus Terminal, Jalanf Ketari to First World Hotel, Genting Highlands, and vice versa. No idea! Maybe you can google it!